As you may have noticed darker color homes are popping up everywhere across America. Homeowners want their homes to stand out, and choosing bold colors will add to their desired curb appeal. Darker colors do absorb more heat from the sun which can cause fading as well as distortion, and warping. KP’s SpectraShield™ Technology eliminates these issues. Our Research and Development team aggressively tested dark colored vinyl siding in laboratories and field tests, in order to combat these concerns. The results prove that its unique properties and heat resistance capabilities are ideal for these new color trends. 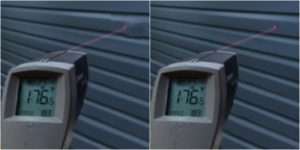 As shown below, our dark siding with SpectraShield™ can withstand a temperature of 176.5°F with no change where as our competitors’ starts to distort and buckle. The ambient temperature will never reach these numbers but the reflective heat will. Combined with our Chromalock™ technology, which protects against fading, you have the winning combination. 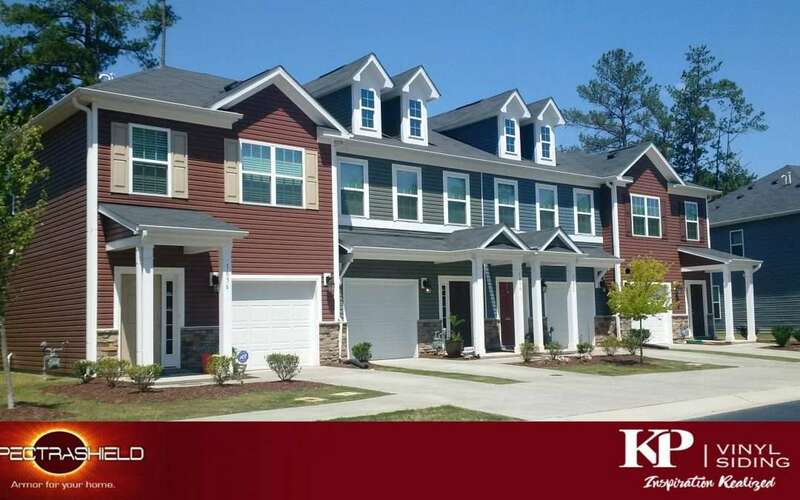 Incorporating both technologies in all our dark siding colors will ensure that your siding will retain its deep, rich hue…Protecting your investment for years to come.